Speed ​​ratings (represented by letters) indicate the maximum speed a tire can sustain before overheating. Defined primarily for highways with no speed limit and closed circuits, they generally exceed the legal speed limits. To ensure your safety,you must respect the laws at all times. The speed rating is on the tire sidewall. It is the last letter of the code of the characteristics of the tire, for example the code W: 255 / 40R17 94W indicates its rating. For maximum speed, you need to associate this letter with the table of speed ratings below. When replacing your tires, it is important to choose the same speed rating as the equipment tire of origin. 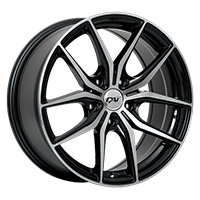 In fact, if you take a lower rating, your tire sidewalls will be softened, so your behavior will be affected, which we do not recommend, nor do car manufacturer will if you want to keep you warranty. However, for your winter tires, you can choose a speed rating lower than your summer tires to obtain greater flexibility. A high speed index defines a harder tire, so its characteristics are less favorable in winter conditions. Thus, it is ok to downgrade, but do not decrease by more than one letter. 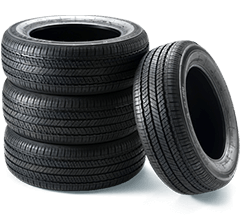 To make sure you make a good tire choice, according to its speed rating and type of driving you have, do not hesitate to contact one of our experts at Customer Service by e-mail or by telephone. How is the Speed Rating Determined? The speed rating is the result of a laboratory test that calculates how fast the tire can roll while remaining intact. Starting at low speed, the test increases it speed by 10 km/h every 10 minutes, until there is deterioration of the wear of the tire, or until the tire bursts completely. Here is a table that allows you to decode these ratings.